For the month of November artists are working to create one water-based piece of art a day. I've posted mine here along with some process shots of the pieces in progress. Inktober is over but I've posted my work for it here. 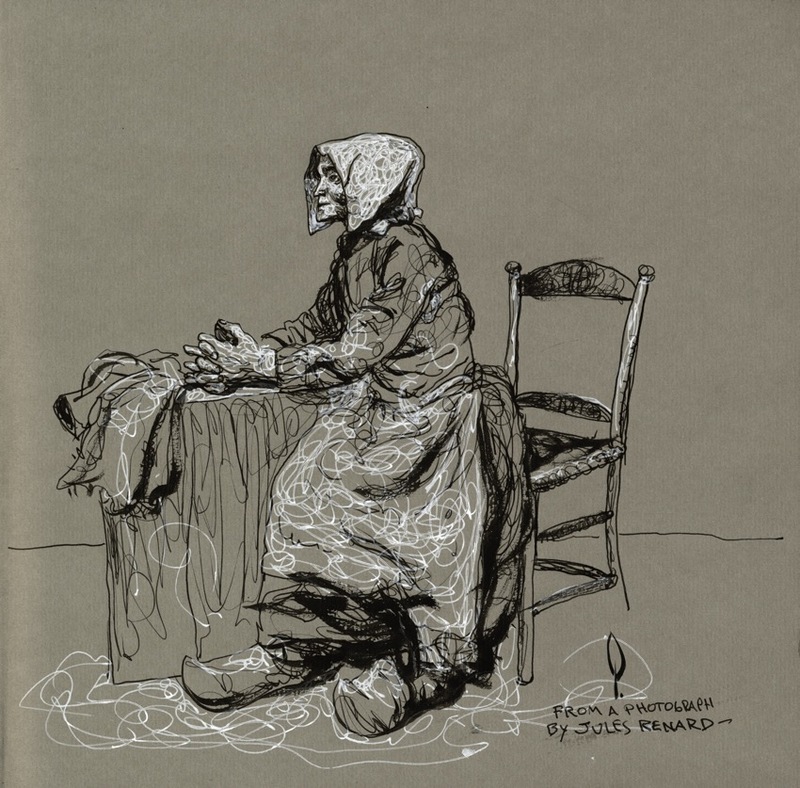 For the entire month of October artists are working to create one ink piece a day. I've posted mine here with some extras that were done as well. Gabor is an amazing poet himself who asked me years ago to work with him on his poems "Find Me A Voice" about the Holocaust (which we're still struggling to get published). Every project Gabor takes on is an incredible labor of love and this book is no less. I'm proud to have been able to be a part of it in my small way. This book contains the complete poems in Hungarian and in English translation of Hungary's great modern poet, Miklós Radnóti, murdered at the age of 35 during the Holocaust. 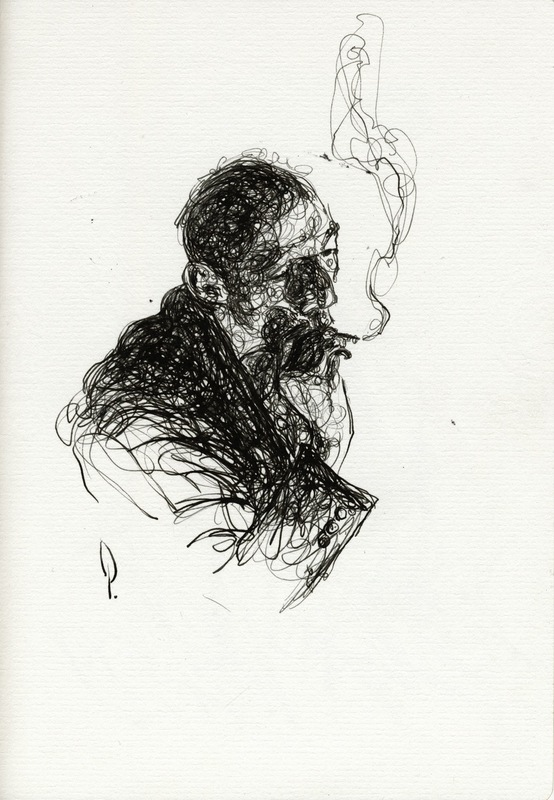 His earliest poems, the six books published during his lifetime, and the poems published posthumously after World War II are included. There is a foreword by Győző Ferencz, one of Hungary's foremost experts on Radnóti's poems, and accompanying essays by the author on dominant themes and recurring images, as well as the relevance of Radnóti's work to Holocaust literature. New Piece in the Fourth Issue of Radio Silence Magazine. I have been fortunate enough to get work into every issue so far of this classy magazine on Rock and Roll and Literature. Wonderful printmaker Casey Burns art directs this magazine (as well as illustrates for it) and does a great job. He did the lettering on my new piece as well. The piece was executed with paint rollers with black and white acrylic on paper. The color was done the same way and separated as a flat color. Below is the black and white art scanned as a color file. I work in value, but scan the piece as line art since the magazine is straight black and white with one spot color. Piece in the Spectrum Exhibit at the Society of Illustrators. 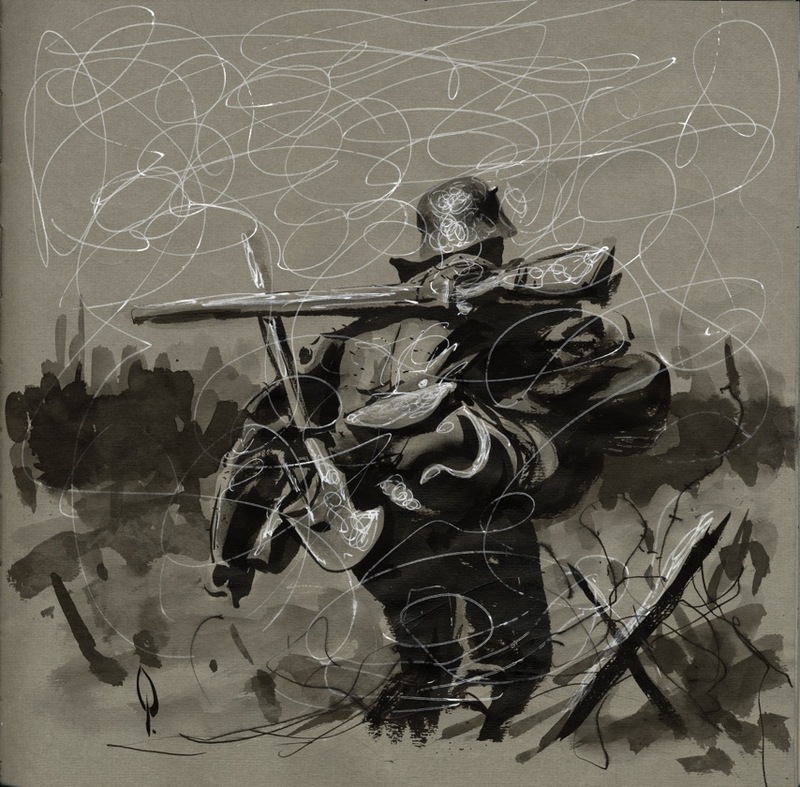 The Nazi Zombie painting I did for Chris Williams's graphic novel Red Fog will be on exhibit at the Spectrum Exhibition at the Society of Illustrators in New York from September 3, 2014 - October 18, 2014. Chris has some very nice, high quality giclee prints of this piece for sale that are signed and numbered. The hardcover edition of Above the Dreamless Dead: World War I in Poetry and Comics from First Second Books is out. I'm very happy to be a part of this project. I did the cover and adaptions of three poems by Wilfred Owen. Hannah Berry, Stephen R. Bissette, Eddie Campbell, Lilli Carré, Liesbeth De Stercke, Hunt Emerson, Garth Ennis, Simon Gane, Sarah Glidden, Isabel Breenberg, Sammy Harkham, David Hitchcock, Keven Huizenga, Kathryn Immonen, Stuart Immonen, Peter Kuper, James Lloyd, Pat Mills, Anders Nilson, Danica Nogorodoff, Luke Pearson, George Pratt, Carol Tyler, Phil Winslade. Rupert Brooke, Wilfrid Wilson Gibson, Robert Graves, Thomas Hardy, Rudyard Kipling, Francis Edward Ledwidge, Patrick MacGill, Wilfred Owen, Isaac Rosenberg, Siegried Sassoon, Osbert Sitwell, Charels Sorley, Edward Thomas. I had a lot of fun putting my children in this as well as my sweet Jack Russell, Scout, who died several months ago. Got a nice nod to my dad in here too. 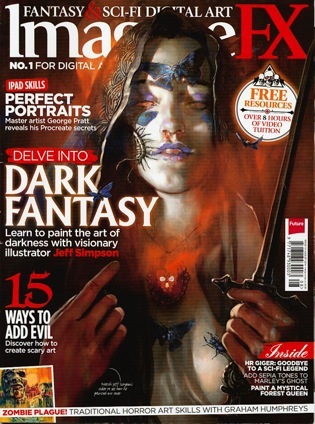 George Pratt articles in issues of Imagine FX Magazine! 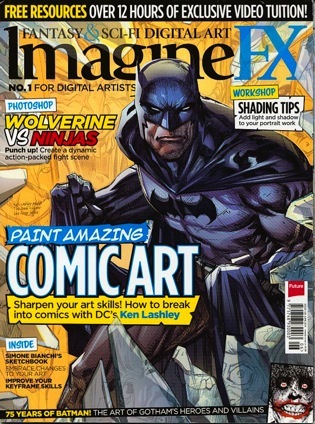 I have two articles in recent issues of Imagine FX Magazine. The first is in issue 109, June2014, pages 76-79. 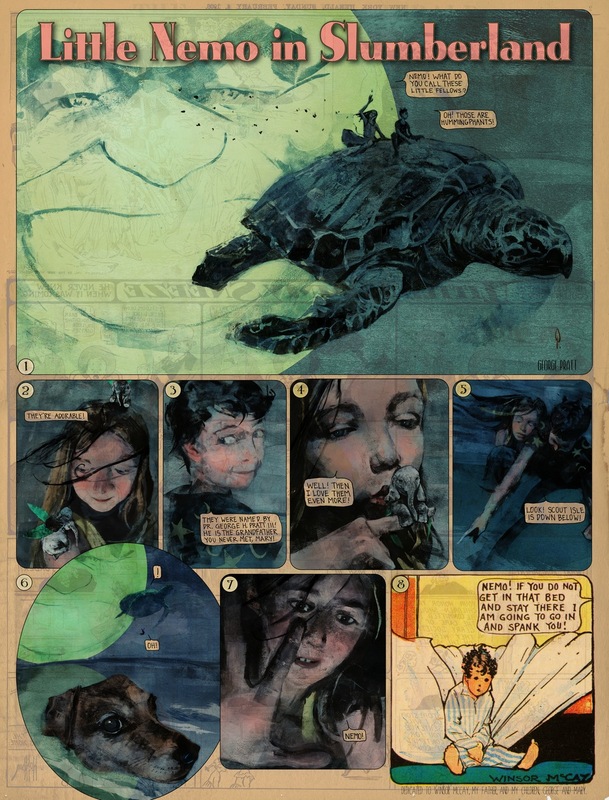 Develop Your Art On The Canvas: Discover how one artist is able to bring their won style to an established comic series, as George Pratt explains how he paints a Fables cover. The four-page tutorial has me break down the process for painting my Fables cover for Vertigo Comics. The second article is in Issue 111, August 2014, pages 72-75. Portrait Skills In Procreate. This four-page tutorial has me working on one of my digital heads in Procreate on the iPad, using a Wacom stylus for pressure sensitivity. Lots of screen captures and their resources has downloads for three of the brushes I created for the demonstration as well as an in-depth video tutorial. Art Connection Academy hosted another free public lecture – this time with artists Mark Chiarello and George Pratt. Mark is vice president of art direction and design for DC Entertainment. He's joined by Eisner award-winning graphic novelist George. "We attracted over a thousand attendees to the lecture," Art Connection Academy CEO John English said. "These lectures are free and offer tremendous educational value from leaders in the industry." Art Connection Academy is an online school founded for the training and development of those looking to become professional artists. The lecture took place Saturday 10 May 2014 1:00 p.m. CT.